John Paul II Mixed Secondary School began its activity in 2004, as an initiative of Christ the King Catholic church in Kibera slum, Nairobi. It was in response to many children completing primary school and not proceeding to secondary school due to financial constraints. It is a day school with bear minimum resources and infrastructure. Most of the students come from single parent homes or the parent (s)/ guardian(s) are living with HIV/AIDS. There are many challenges facing the youth living in Kibera. Their parents are unable to provide for the children’s basic needs. This is due to the fact that most of the parents are casual labourers or run small kiosks and earn very little money; just enough to live from hand to mouth, while others have no form of income. It is common to find students who come from abusive homes where there is a mix of domestic violence and sexual violence. Financial constraints have resulted in many students dropping out of school or they are perpetually sent away from school due to lack of school fees. This has created a need for extra attention to be accorded to the students to help them cover their school fees (Kshs 20,000/ USD 235/ Euro 180 per year). Keeping the students in school will offer them an opportunity to a better life than their parents and keep them away from crime. COP offers 25 scholarships annually to needy bright students with funds from Local Lives Foundation, Ireland. Equipping of school library with text books. Macheo achievement programme, a three fold programme that involves academic tutoring, one-to-one mentoring and cultural development through excursions and sports. 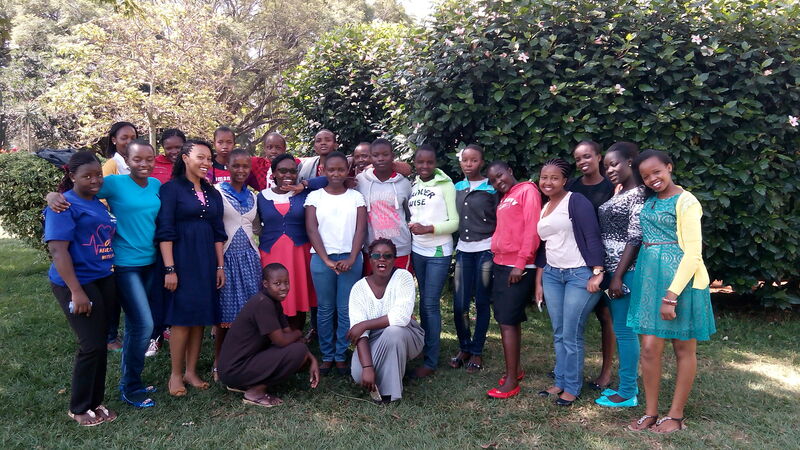 In partnership with Rockbrook High school, Ireland, Strathmore university students have participated in 3 symposiums on community development from 2010.